Playgroups support families in building social connections with their children and other families through hands-on, interactive and developmentally appropriate play! 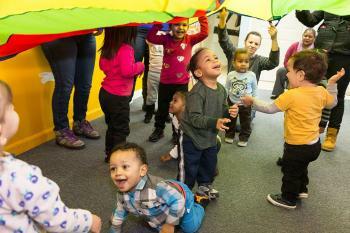 Find a playgroup near you. PLAYGROUP SCHEDULE TILL JUNE 2019. Huong Vu at hvu@bgcdorchester.org; 617-288-7120 x 1160. 1. Ages 1 to 3 years, younger siblings welcome.